I mentioned I was possibly going to change the background on a few of my current tree paintings.You can view that post not so little trees. 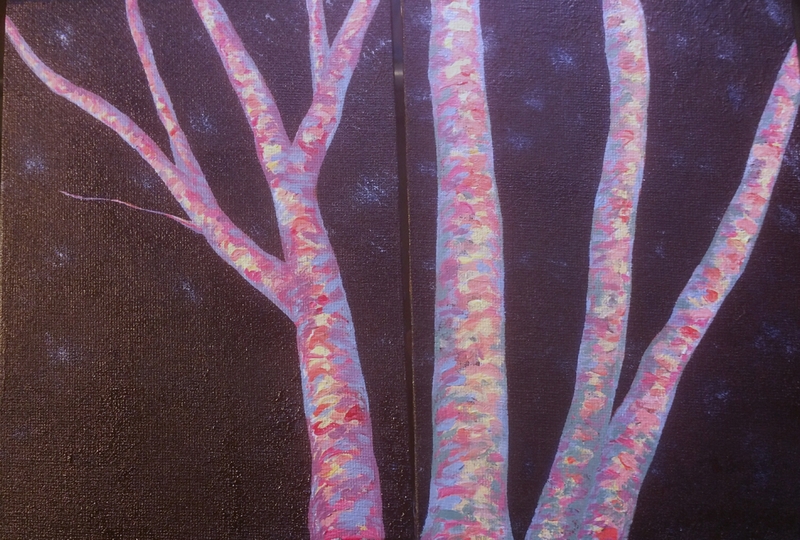 I decided I wasn’t loving the look of the sepia backgrounds with these brightly colored trees. I have repainted two of the three backgrounds to be more analogous with the trunks. I am working on the third one right now. I repainted the background of these to a Prussian Blue with bits of iridescent white. the sepia colors I had used originally were not thrilling me with the colorful trees.